Browsing through the world of Amazon skin-care products is like entering a parallel universe. There are brands you recognize but somehow feel slightly different (think: if Us director Jordan Peele created a beauty line). Then, there are the items that are so foreign, you question the 2,000-plus rave reviews underneath their product descriptions. If they are so great, why aren't these products gracing the shelves of Sephora? The truth is big-box beauty retailers take a chunk of the profit, which might not be so ideal for smaller brands. In some cases, it's much more profitable to sell product through an owned-and-operated site (hello, Kylie Cosmetics) and — you guessed it — Amazon. On a personal level, it can feel like a scary movie navigating though unfamiliar skin care, especially if you're sensitive to certain ingredients. Perhaps it's Amazon's lack of stylized product imagery, inconsistent pricing, or just the unfamiliarity of a third-party seller. Maybe it's because reviews are not always real or honest. 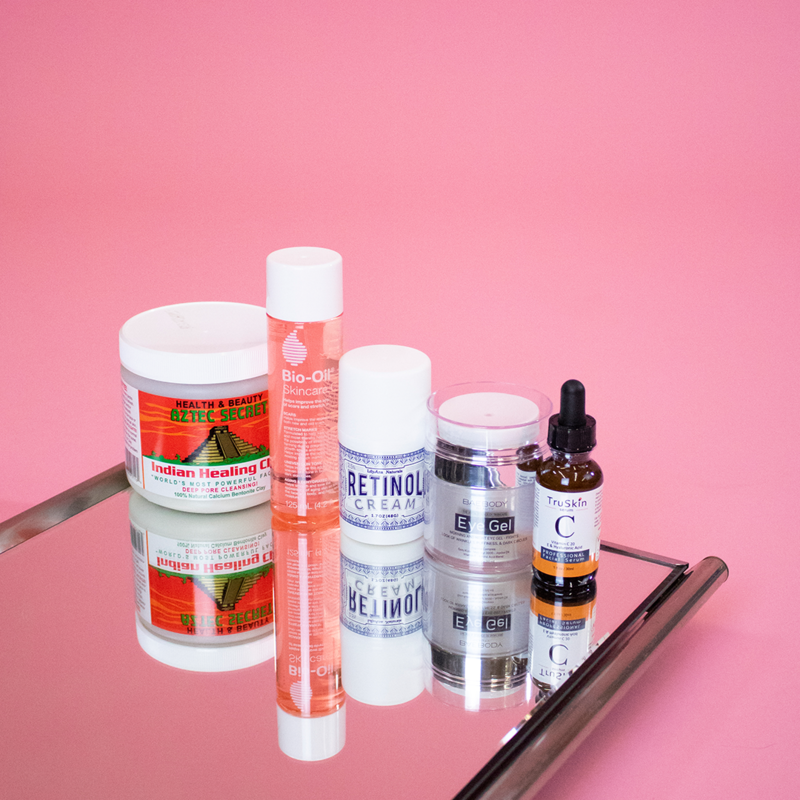 In the name of great skin, we took it upon ourselves to review the beauty products Honey members most often add to Droplist — so you can feel a little more at ease trying these Amazon best sellers. Sure, there's nothing like walking into a Sephora, Ulta, or, heck, even a CVS. There's shelf upon shelf, brimming with beauty products to try. At the same time, there's nothing like discovering new skin-care products — in the comfort of your PJs — with Prime next-day shipping. If you're thinking this is like a Band-Aid for pimples, you'd be absolutely correct. Suffocating a wound may seem counterintuitive, but really, you're preventing the spread of more bacteria, which causes breakouts in the first place. If you often pick at your skin, this baby — brought to you by Korean brand COSRX — is for you. Washing your face before use is a given — you don't want to breed more bacteria, after all. Bonus step: Sterilize tweezers and use them to apply a sticky, liquid-absorbing patch over an affected spot. At the very least, make sure your hands are clean! There's no antiseptic ingredient like benzoyl peroxide or salicylic acid, a common anti-inflammatory found in most over-the-counter acne-fighting products. Instead, the patch's hydrocolloid properties (fancy name for something that easily binds with water) absorbs the oils and gunk beneath it. Is a whitehead rearing its ugly head? Sleep with the patch on and arise the next morning with little to no pus in sight. The best thing about this product? It won't leave your skin flaky like other drying acne products, which also means makeup application goes more smoothly. The downside: It doesn't work quite as effectively with zits that haven't popped yet. The results are less dramatic with cystic acne (painful, very deep blemishes that often leave scars). However, it does help deflate swelling, which is magic in itself. Beauty mavens have undoubtedly seen this deep-cleansing mask in many a YouTube review. 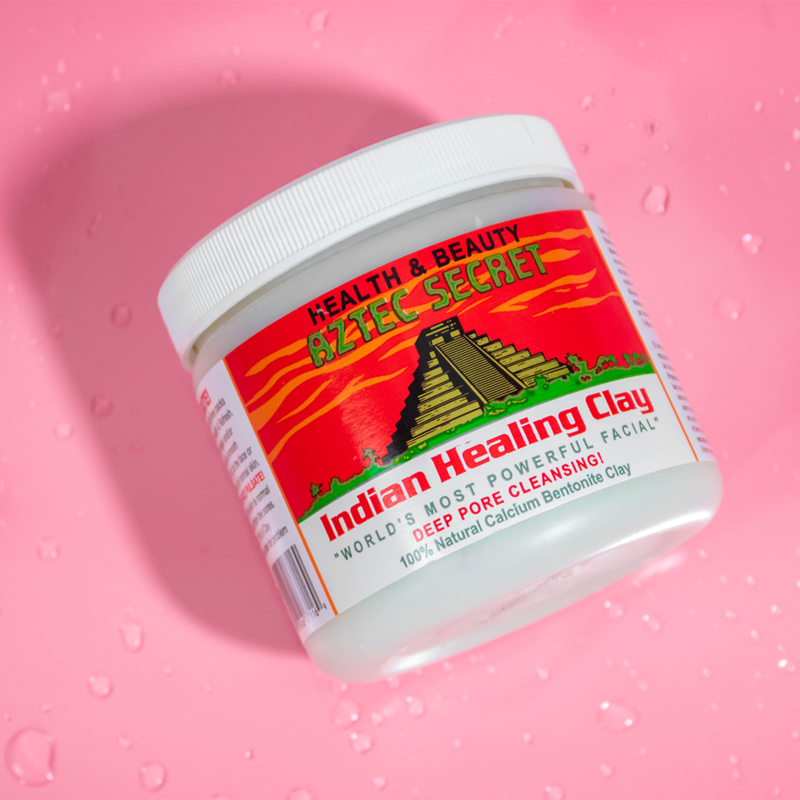 The clay contains 100 percent natural calcium bentonite, an ingredient that draws out impurities from the depths of your congested pores. It comes in powder form, which is then mixed with either water or, more commonly, organic apple cider vinegar until it bubbles into a greenish-grey paste. The mask is then applied for five to 20 minutes — and no longer! The label is very clear (and kind of alarming), warning that delicate skin should only wear it for no more than 10 minutes. The clay tightens and tingles as it dries. You feel it work, hunnay. Swelling and redness may occur, the label also dutifully warns. (Yeah, not scary at all.) But in about half an hour, said swelling and redness may go away, which upon trial, it did. If you have oily skin, this product may work wonders for you. But for those with sensitive, combination, or dry skin, it may wreak havoc, as its clarifying properties may be too harsh, causing excessive dryness and eventually — breakouts — as it did for this reviewer (with combination skin). The biggest downside: It's really messy and a pain to mix. Call us lazy, but we prefer a mask that's ready to go — no additional work necessary. The pros: It's really affordable (you're getting a lot of powder power for your buck) and effective...maybe too effective. On first impression, the pinkish-orange hue exudes a millennial-friendly vibe, which is fun...unless you're not a fan of pink...or millennials. Next, you'll be delighted by the smell. Even those with sensitive noses — this reviewer is often bothered by fragrances — may enjoy the spice-like scent. More importantly, no sneezes or irritated reactions commenced, so that's always a good sign. Keep in mind that the opening of the bottle is made so you can't spill the oil. But if you squeeze the bottle, expect a flood — don't make our mistake. Texture-wise, this is a kind of a no-brainer, given the name, but it feels just like how you would imagine oil would. 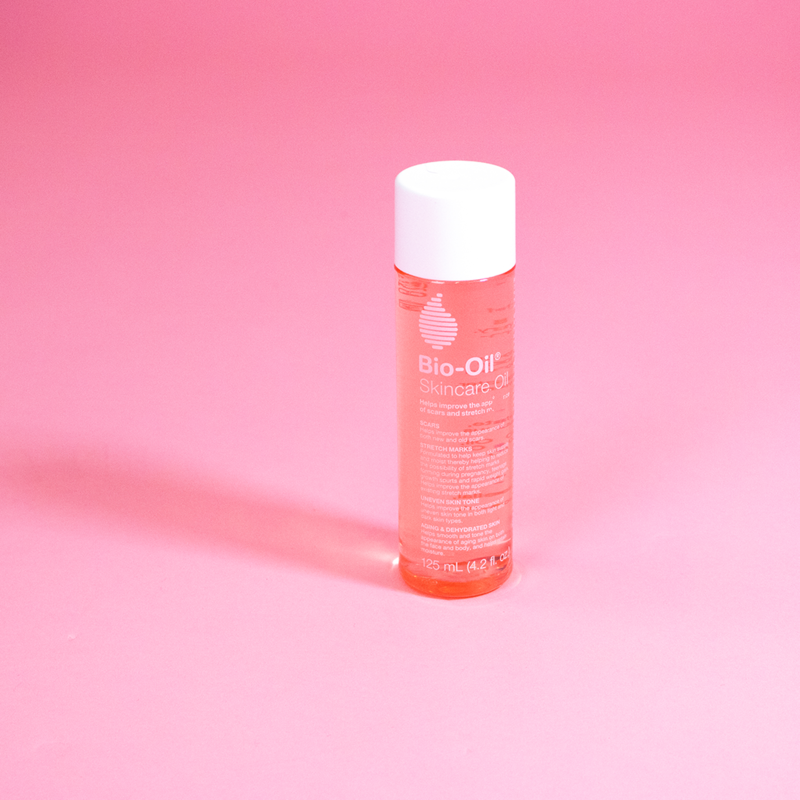 Of course, there are different types of oil, like vitamin E-infused oil and coconut oil, but Bio Oil seems to absorb a little faster, so it's not too greasy for long. Used twice a day, once in the morning and once after showering before bed, it was applied on a face scar and on stretch marks on the thighs. After a week, no results were seen. To be fully transparent, if you're looking for immediate magical results that'll make your scars disappear, this product is probably not for you. We would, however, suggest Bio Oil over just using coconut oil or vitamin E oil alone, because, well, it just smells so darn nice. 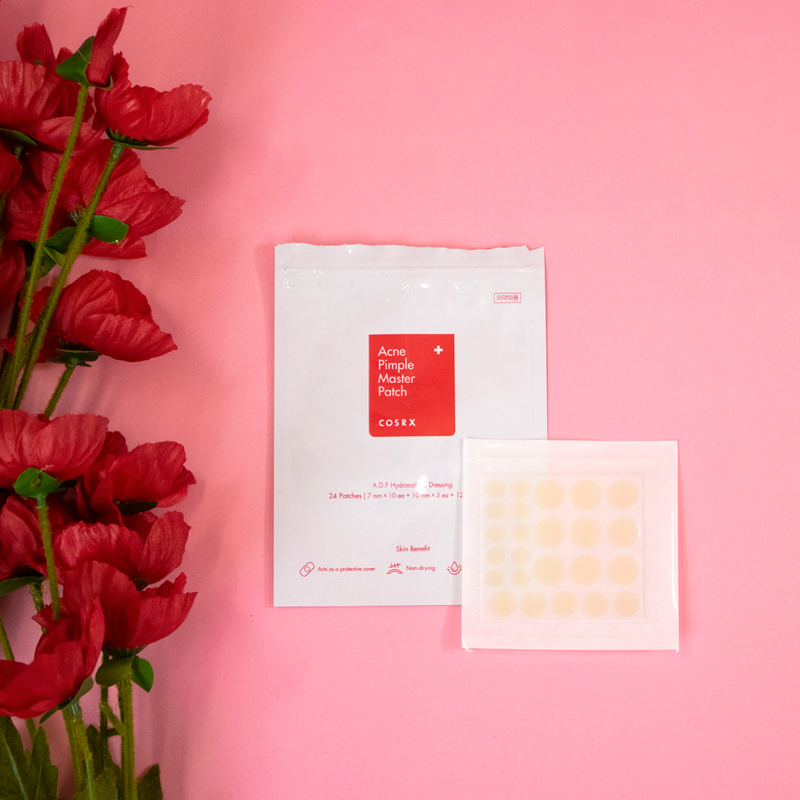 Hailing from Korea, sheet masks hydrate and replenish the skin's often dehydrated top layer, leaving a smoother surface for even makeup application. 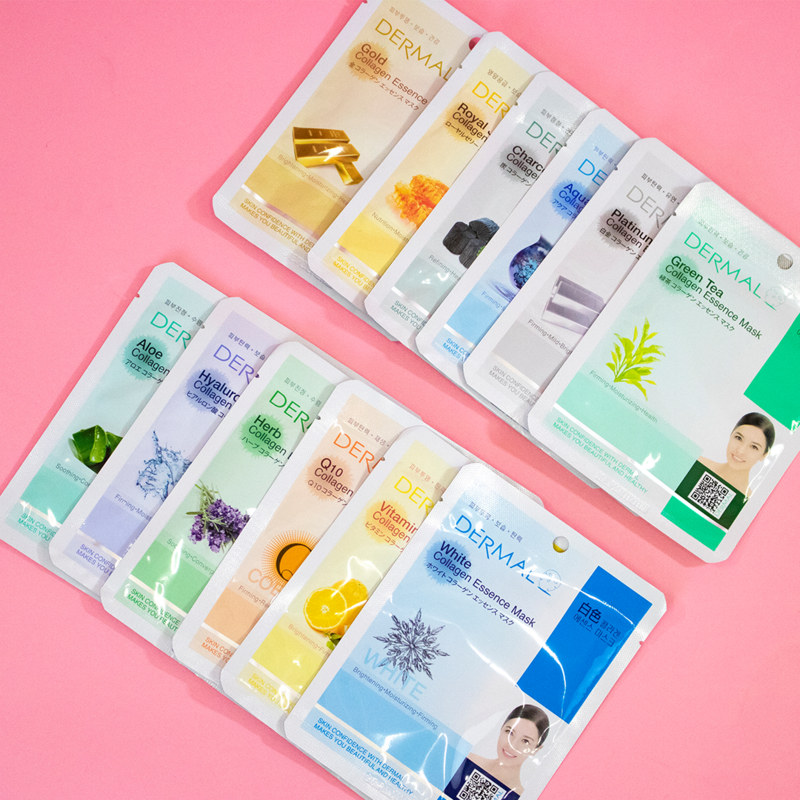 The Dermal combo pack comes with 16 different masks, each with its own hero ingredient. In this review, we focus on the snail mucus mask, because 1) research shows the ingredient contains anti-aging properties and helps lock in moisture, keeping skin supple and 2) we're weird and drawn to snails. Rip open the packaging, which looks rather mature, with its identifying hero ingredient and Asian model, in comparison to Target or CVS iterations, which often have a "bubblegum" feel to them. Simply place the sheet mask on your face — it’s easy to apply; although, it takes patience to smooth it down and make it fit to your face. You may have to fold the edges over if your head is on the smaller side. Then bask in the effortlessness for 10 to 15 minutes. Slimy mask with a snail on the package? Gross. Did it smell like that? Surprisingly not. In fact, the scent is actually very pleasant: Light. Not too fragrant. Just right. Back to the sliminess: There’s excess essence — or serum as it is known in the American beauty market — in the package that you’re directed to work into your skin after you remove the mask. It's always a plus when there is surplus to use, but realistically, there's probably not that many faces in the world that could soak up all that excess. The package claims you'll feel immediate results, which is a bit of an exaggeration. But skin will feel plenty soft and hydrated. There are many overpriced sheet masks out there, like a SK-II pack of 10 for $135, but this one works just as well. Let us just reiterate that there is snail secretion in the mask (read: you will have snail trail on your face). If you're not okay with that, the other 15 masks are great to try too. 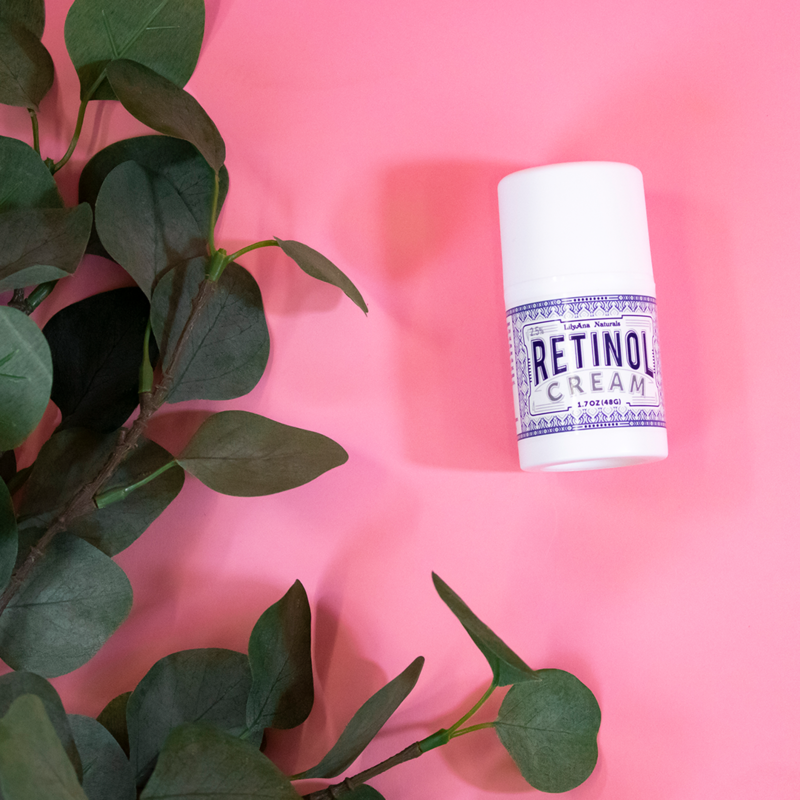 There is no word more intimidating and trendy than retinol. First thing is first: Not all retinoids are made the same. Retinol is derived from vitamin A and has been proven to prevent wrinkles, brighten skin, treat acne, and fade dark spot — it's like the holy grail of skin ingredients. The most intense iteration, Retin-A, can only be prescribed by a dermatologist and increases rapid cell turnover, giving you new baby skin...with excessive dryness and flakiness in between. Oh, and it will damage your skin if you're exposed to sun long enough. Over-the-counter retinol, the gentlest version, is what we're talking about in this post. The long-term effects can be the same. Back to the product at hand: Do you have a few acne scars and blemishes that just never seem to go away? Us too...especially on the cheeks. Hence, the interest in this retinol product. Skin felt very soft immediately after application. It didn’t affect other products used (three different prescription lotion types every day). It didn’t irritate the skin. However, there was a little more breakout than usual, but that may have not necessarily been from the cream (it could be from hormones, other products, etc.). The odorless formula is a little thick though — you may feel like you're putting on a lot of product even though it's just one layer. The bottle's pump is nicely designed, allowing you to gauge how much product you want to squeeze out of the bottle. You shouldn't use too much at first anyway. Those with sensitive skin should definitely start slow. Important tip: It's not as intense as Retin-A, but sunscreen is still a must for everyone. Full transparency: We may have needed a little more time to test this product to see longterm results. Just based on the application process, how it feels on skin, and how easy and effortless it is to use, it's a must-try. Toner is a step often overlooked. The non-skin-care savvy may think it's just another step to add to your daily routine, but others will say it is essential to even skin tone (hence the name). Effectively, skin toner is mostly water, but even a H20-based formula helps pick up makeup and dirt residue and reinforce the skin's moisture barrier. Because it's mostly water, we would advise against spending egregious amounts on toner. The cult-followed Thayers brand is affordable and effective. In fact, this particular version is the No. 1 beauty product on Droplist. The formula is alcohol-free, which means it's not harsh at all, a plus for sensitive skin. 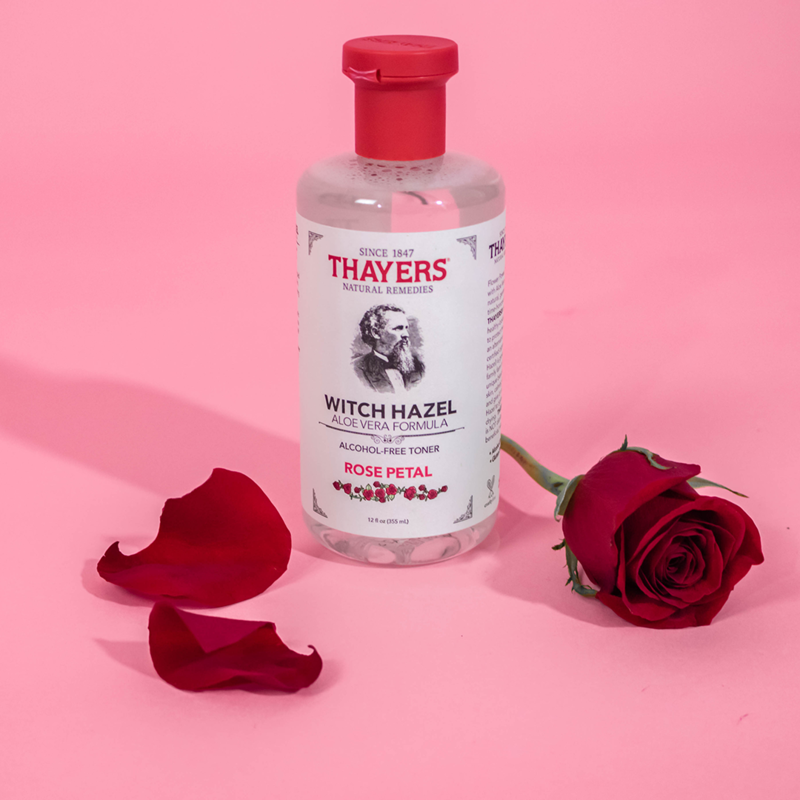 Not to mention, the witch hazel and the rose together act as a natural astringent, which helps to shrink and clean out pores. Also, anyone who has ever been sunburned knows of aloe vera's soothing powers. There you have it: all the ingredients that matter for a very fair price. What you'll get in return: a smoother, lovely scented surface. Vitamin C, great for collagen production and antioxidants, and hyaluronic acid, which holds 1,000x more moisture than water, are all the rage right now. And, luckily, this serum features both ingredients. The slightly scented formula is liquidy, as most serums are, but at the same time, has a viscosity to it. It’s translucent but milky. It’s sticky for a second when you apply it, but dries quickly. After a face cleaning and a toner, it was applied directly to the face with the dropper. Excess formula was used on the neck and chest. Once it was dry, a moisturizer was applied on top. Since this reviewer has sensitive skin, the hope was that the product would lighten acne scars and make skin glow more. Keep in mind that the brand also claims that it helps with “brightness, firmness, fine lines, wrinkles, dark spots, and sun spots,” and some previous reviewers claimed it made their pores smaller and prevented breakouts. After testing the product, skin did, indeed, glow a bit more. Also, some dark spots looked a bit lighter. However, there were no changes with pore sizes nor did it prevent breakouts. The fine lines and wrinkles claim now seems questionable too. 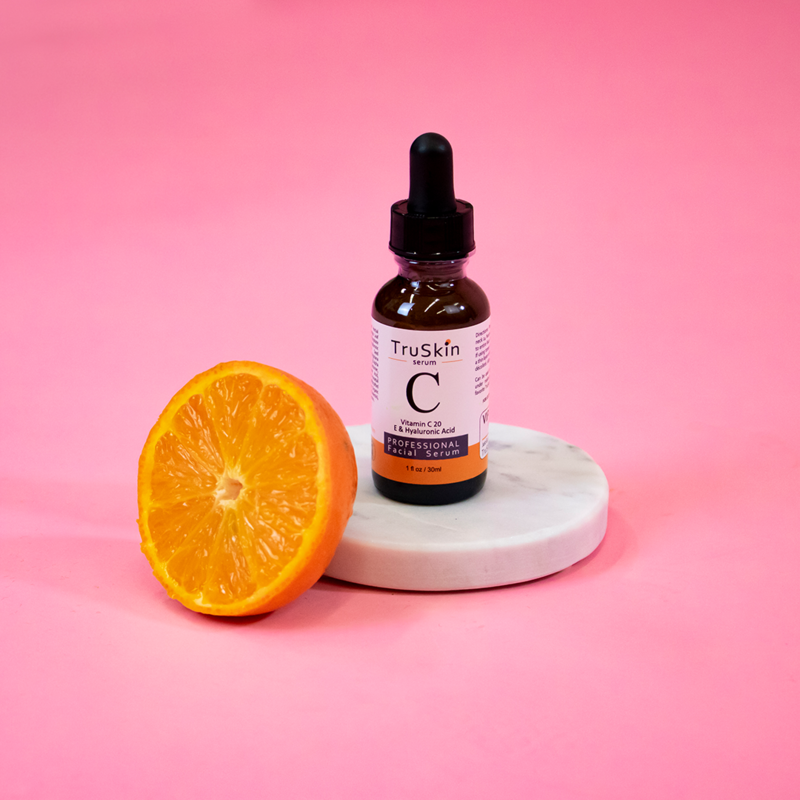 All in all, TruSkin Vitamin C Serum may be great for someone who doesn’t already have a serum in their skin-care routine and wants to lighten dark spots. Honestly, there are better serums out there. On the plus side, this one comes in at great price point. Not only is this Baebody product an Amazon's Choice (it's sponsored), but its cream counterpart is an Amazon best seller. 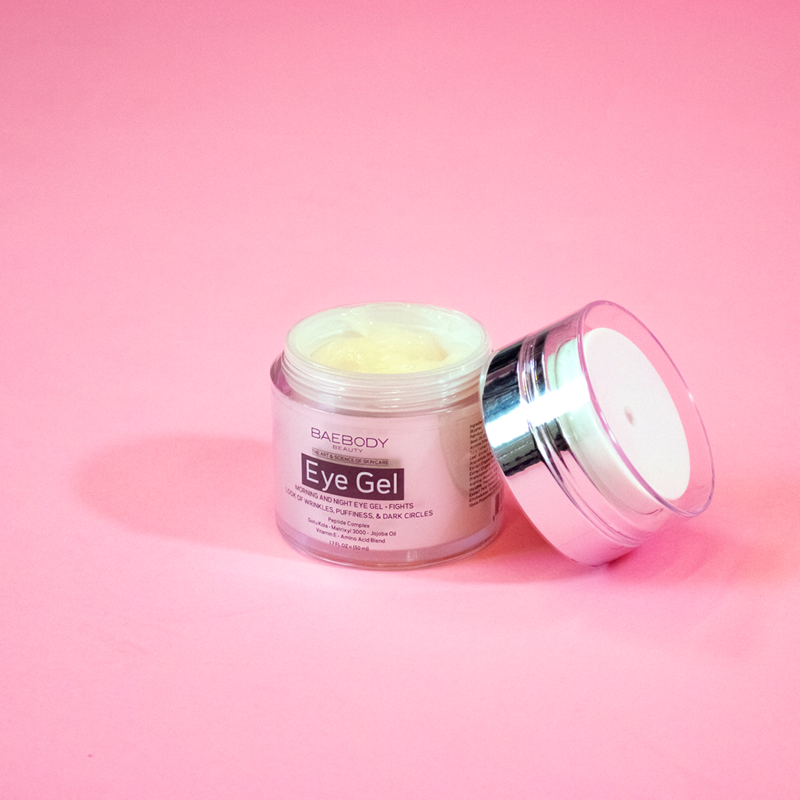 Unfortunately, with 14,000+ reviews and a four-star rating, it failed to combat dark circles, wrinkles, and bags under the eyes, like it promises. Look, this reviewer really wanted this product to work. But all the formula's good-for-collagen-production peptides, vitamin E, and jojoba oil did very little to fractionally offset the physical marks left by late nights, stress, and age. On application, the gel formula is light and refreshing, which is important for such a sensitive area of skin. The product glides on smoothly, without too much impact on the skin. However, the product didn't seem to affect the skin in any positive way either. In fact, after a few weeks, the hallows under the eyes actually looked deeper and darker. Perhaps that was due to more late nights and stress, and not that product itself, but the gel certainly didn't help. On a positive note, the cool formula does slightly alleviate puffiness — but so do a lot of other under-eye products. We recommend you try those first.